These card printers are fitted with options for graphic, magnetic and electric (contact and RFID contactless chip cards) personalization of all kind of cards and badges (employee badges, student IDs, payment cards, etc.). 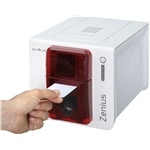 Evolis Zenius Classic line Fire Red Card Printer - USB - is the one-stop solution to print high-quality single-sided cards, in monochrome or color, and encode technology cards, singly or in runs, for a variety of applications. 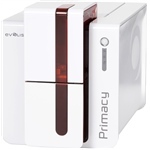 Evolis Primacy Duplex Expert Base Model - Fire Red - To print single or dual sided cards in medium or large runs. Evolis Primacy Simplex Expert Base Model - Fire Red - To print single or dual sided cards in medium or large runs. Evolis Zenius Expert line Fire Red Card Printer - USB and Ethernet - is the one-stop solution to print high-quality single-sided cards, in monochrome or color, and encode technology cards, singly or in runs, for a variety of applications. Evolis Genuine Globes Hologram Varnish Ribbon - 400 prints / roll - ribbon allows the application of a hologram (an optical variable design) on card in a form of a transparent layer. For the Evolis Zenius and Primacy printers. 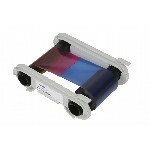 Evolis Zenius and Primacy - 5 Panel Color Ribbon - YMCKO - 200 prints per roll. For the Evolis Zenius and Primacy card printers ONLY. Pebble, Dualys and Quantum - Holographic Overlay Ribbon, The Evolis R4002 ribbon is specially designed to guarantee optimum operation of your badge printer without risk of damage. Prints 350 cards per roll. 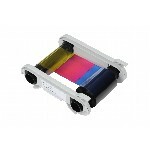 Evolis Primacy - 6 Panel Color Ribbon - YMCKOK - 200 prints per roll. For the Evolis Primacy card printers ONLY. 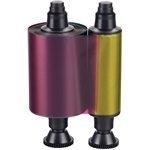 Evolis Zenius and Primacy - Half-Panel Color Ribbon - 1/2 YMCKO - 400 prints per roll. For the Evolis Zenius and Primacy card printers ONLY. 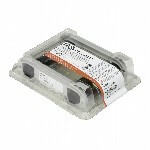 Evolis R3011 Color Ribbon - this full color ribbon is designed specifically to work with the Pebble, Dualys and Securion. Prints 200 cards per roll.